Steel3D-DIN Structural Steel Shapes created as a 3D solid can be placed as a column or beams by selecting multiple lines in 3D model space. Shapes are created from the dimensional data in the DIN Steel Database. 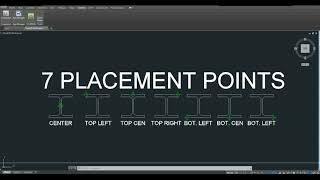 Shape can be automatically rotated about the placement point in 45 degree increments after placement. Shapes can be placed vertically by selecting the placement point and height of shape. Or, extruded along several lines placed in 3D model space. The installer is compatible with Autodesk® AutoCAD® 2012 to 2020 (including other vertical products).